SPRINGFIELD – Gov. Bruce Rauner welcomed new correctional cadets to the state’s ranks today. He was the keynote speaker at a graduation ceremony, which included the first class of cadets for the Murphysboro Life Skills Re-Entry Center. The Murphysboro Life Skills Re-entry Center is the second of its kind to open under Gov. Rauner’s leadership. The first, which is located in Kewanee, Illinois, opened in February 2017. More than 60 offenders have been released from the Kewanee facility in the past year, none have returned to prison. The Life Skills Re-Entry Centers focus on teaching skills that will help offenders be successful once they’re released – such as how to manage a bank account, write a resume, communicate effectively with others, and prepare for job interviews. The Murphysboro facility will accept its first group of offenders in April. A total of 190 cadets graduated from the Illinois Department of Corrections today, wrapping up six-weeks of coursework and on-the-job training. During their time at the Academy, they learned how to understand and communicate with offenders on the mental health caseload and how to maintain composure in crisis situations. Rauner has made criminal justice reform a priority. Under his direction, the IDOC incorporated cutting edge staff training into its curriculum and offers ongoing courses aimed at creating safe working environments at all IDOC facilities. Just weeks after taking office, Gov. Rauner announced his goal to reduce the prison population by 25% by the year 2025. IDOC Director John Baldwin says they’re already more than halfway to the goal. The Illinois Department of Corrections held two graduating ceremonies today, one at its Springfield headquarters and another at the Murphysboro Life Skills Re-entry Center, where Gov. Rauner delivered the keynote address. More than 2,900 new IDOC cadets have been added to the ranks since Gov. Rauner took office. The new cadets will start at facilities across the state on Monday. 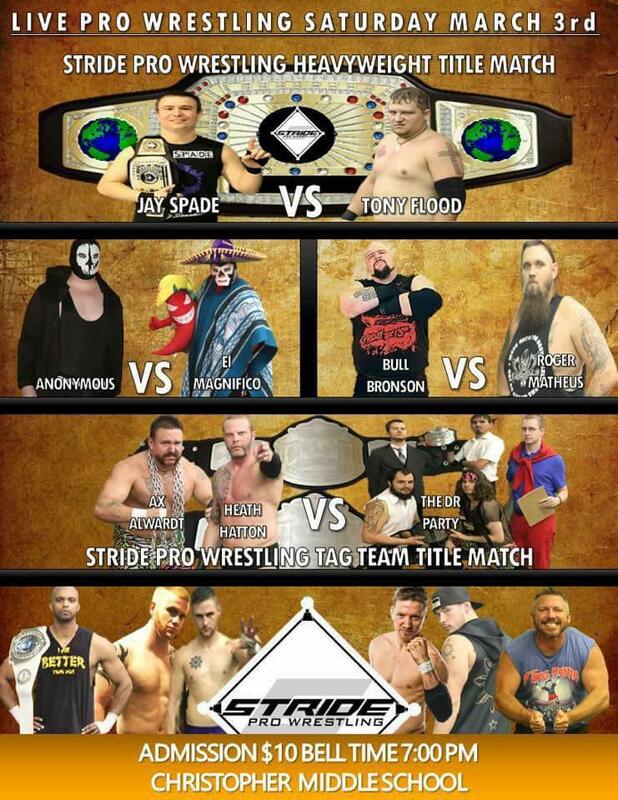 The old Christopher Grade School gym is the place to be Saturday as Saturday night as two former CCHS graduates, Jay Spade and Tony Flood duke it out for the Stride Pro Heavy Weight Championship. Proceeds will go toward helping students take a trip to New York. You might see some familiar faces down the card before the main event of the night. 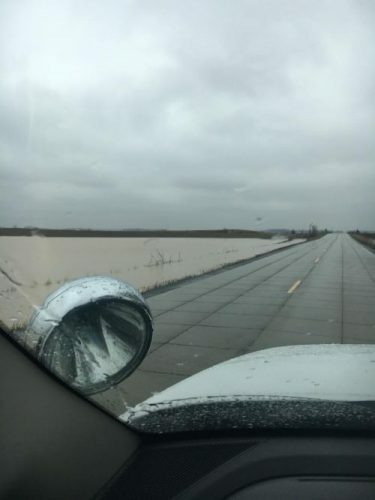 MC LEANSBORO – The above photograph is taken from the Hamilton County Sheriff’s office late Wednesday afternoon of the Norris City Blacktop between Broughton and Norris City. This area is very prone to flooding. The road is still open at this time, but unsure if the water has receded. 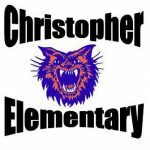 CHRISTOPHER – CUSD #99 would like to address an issue that occurred at CES. Recently, a non-functional AirSoft gun was brought to the school by a student. Students made the staff aware of the presence of the non-functional AirSoft gun. Administration was notified and addressed the issue quickly. The student has been addressed accordingly. It needs to be emphatically stated; Students were NEVER in danger at ANYTIME. The toy gun was not functional. It was NEVER used. We want to commend the students, staff, administration, and School Resource Office for quick action. With all that has gone on recently, CUSD #99 is totally committed to keeping all of our students safe. Every decision and action is directed towards that goal. Courtney Hoppers and Kassie O’ Brien led the Lady Bearcats with 10 Points each. Christopher improves to 14-12 on the season and finished 6-6 in the Black Diamond West. They enter p post season play as the five seed Monday Night at 7:30 by facing Z-R in the Zeigler-Royalton Class 1A Regional. Cobden is the other site in the Regional/Sectional complex. Madison Tiemann led Woodlawn with 12 points. They will play the winner of Z-R/Chirstopher. 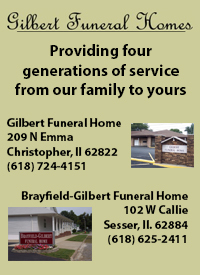 at 7:30 Tuesday at the Zeigler-Royalton Class 1A Regional. 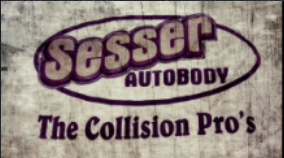 SESSER – The Christopher Bearcats punched their ticket to the semi-finals of the Sesser-Valier Holiday Tournament as the defeat their BDC west foes, the Chester Yellow Jackets 58-53 yesterday. The Bearcats jump out to a 13-7 lead, when Bradley Young goes to the bench with his second foul. Chester takes advantage of Young being on the bench and outscores Christopher 11-4. as it was 18-11 in favor of the Yellow Jackets after one. Chester takes a double digit lead, and Eric Stallman has to put Young back in and goes to a zone. He capitalized by scoring seven points in the frame, but the Yellow Jackets were up 32-26 at the half. Chester comes out ice cold to start the second half. They go on an eight minute field goal drought. Christopher capitalizes and outscores the Yellow Jackets 14-2, to take the lead 40-32. There was the sophomore connection in the third as Bryce Pratt and Gabe Motsinger picked up six points each. The Bearcats extend it to a 54-41 lead until the Haberberger brothers show up and start bombing threes. They chip away and cut the lead to 57-53 with :30 left on the clock. Motsinger and Pratt was perfect from the line as the Bearcats end up with a 59-53 victory. Bradley Young had a game high 16 points. He also had seven assists and nine rebounds. Bryce Pratt added 13. Gabe Motsinger was the third Bearcat in double figures with 10. “We shared the ball really well and was very unselfish today,” Coach Eric Stallman said after yesterday’s win. Keith Kiner led Chester with 17 Collin Wingerter sdded 14 for the Yellow Jackets. 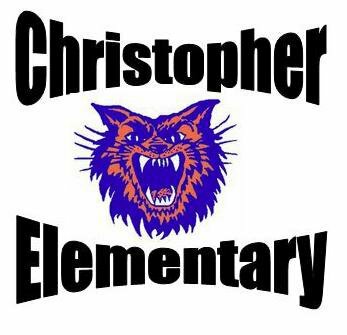 Christopher improves to 8-2 on the season. 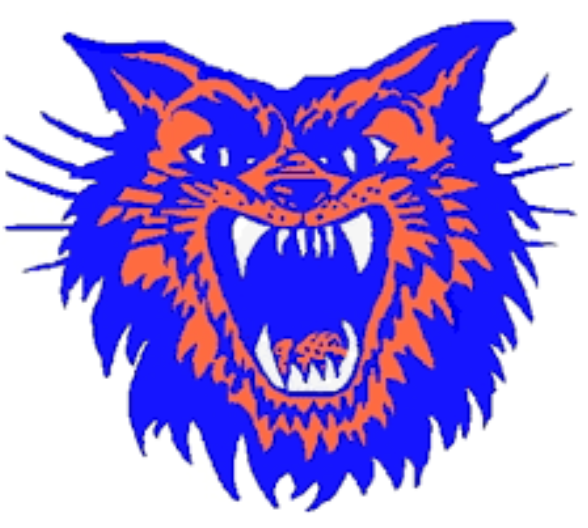 The Bearcats face another BDC team, and one of their biggest rivals, the Goreville Blackcats at 1:30 p.m. this afternoon. Chester falls to 8-4 on the season. They will face the Steeleville Warriors at high noon in the fifth place bracket. The Yellow Jackets defeated their Randolph county rivals, 59-52 in the third place game of the Murphysboro/Trico tournament. CHRISTOPHER (58) Garver 0 0 0-0 0, Saeger 1 1 1-3 6, Motsinger 4 0 4-4 12, Young 4 1 5-8 16, Pratt 3 0 7-8 13, Hawkins 2 0 1-2 5, Flowers 3 0 0-0 6. 2 FG-15, 3FG-2, FT-18-25, PF-11. CHESTER (53) Jo. Haberberger 0 1 2-2 5, Ja. Haberberger 1 2 0-0 8, Cushman 1 0 0-0 2, Bollman 0 0 0-0 0, Reith 3 0 1-2 7, Wingerter 1 4 0-0 14, Kiner III 7 0 3-4 17. INA, Ill. – It was a night of celebration and merriment at the 2017 Rend Lake College Foundation Annual Dinner with numerous surprise awards and announcements, starting with the 2017 Alumnus of the Year. The Annual Dinner was held Thursday, Dec. 7 at the Mt. Vernon Hotel & Events Center. Toward the end of the Annual Dinner, Zibby-Damron took a few moments to remember four individuals who have made lasting impacts on RLC and the Foundation: Millie Caldwell, Larry Pericolosi, Jody Rubenacker, and William Crawford. Caldwell, a former RLC Foundation Board of Directors member and scholarship donor, was remembered for her years of dedication to the college and Foundation – a legacy her daughter, Cindy Caldwell, RLC Mathematics Professor, continues both inside and outside the classroom. Pericolosi, and his wife Mary, were honored for their involvement with two major campaigns with the Foundation: the creation and fundraising of the Murphy-Wall Pinckneyville Campus, and the renovation of the outside of the Dr. Allen Y. Baker Administration Building on the Ina campus, officially called the “Pathway to Success” campaign. 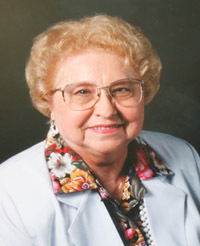 Rubenacker, the matriarch of the Rubenacker family, was remembered, not only for her generosity to the Foundation, but also for the impact she and her family have made on the legacy of Rend Lake College. 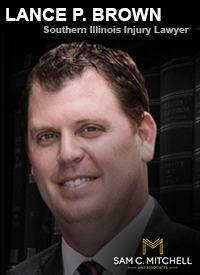 “Though I never had the opportunity to know Jody, it’s quite evident that she did one heck of a job. Several of our 50 Influencers were recognized for their multi-generation legacy, impactful return, or enterprising spirit, but Jody and her family were recognized for all three,” said Zibby-Damron. “Jody, and her husband Richard, were recognized in 2004 for their $25,000 lead gift to the RLC Foundation Challenge Grant II Campaign and the establishment of the Rubenacker Family Scholarship. Rend Lake College is very grateful for Jody and the Rubenacker family. Crawford was honored for his selflessness and dedication to the betterment of RLC students and countless others in his community. 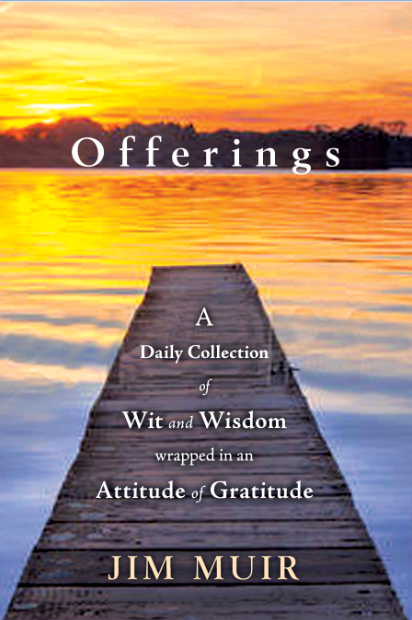 A magnificent fundraiser and supporter, Crawford was heavily involved with the Murphy-Wall Pinckneyville Campus. 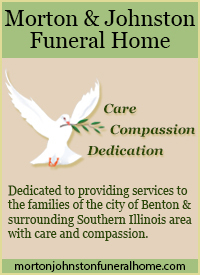 To learn more about the RLC Foundation, contact Zibby-Damron at 618-437-5321, Ext. 1214 or foundation@rlc.edu. 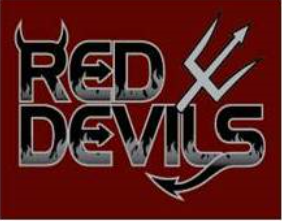 The Sesser-Valier Red Devils pulled off a huge win Friday night, defeating Route 148 rival Christopher 74-61. Both teams fought to a 13-13 first quarter score and the Red Devils eked out a 31-30 halftime lead but it was a dominating third quarter run by S-V that propelled them to a Black Diamond Conference West victory. S-V outscored the Bearcats 26-14 in the decisive third stanza. Both teams played to a 17-17 standoff in the final quarter. S-V put three players in double figures in the contest with Lukas Gunter leading the way for S-V with 19 points. He was followed by Addison Page with 16 points and Tyler Winchester with 15 points. Rounding out the scoring for S-V was Peyton Rock with nine points, Preston Launius with eight points andJosh Gunter and Seth Boles with four points each. The Bearcats were led in scoring by sophomore Gabriel Motsinger with 16 points, one of four Christopher players who scored in double figures. Bryce Pratt added 13 points, followed by Dalton Saeger with 11 points and Daniel Flowers with 10 points. Bradley Young added nine points for Christopher and Kye Garver added two points. The Red Devils are back in action on Tuesday, December 19 when they travel to Vienna for another BDC matchup. 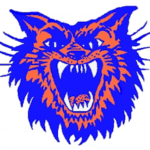 The Bearcats are also back in action on December 19 when they host Trico. Both games will wrap up the pre-Christmas portion of the schedule for each team. S-V and the Bearcats will participate in the Sesser-Valier Holiday Tournament that will run from December 26-29. 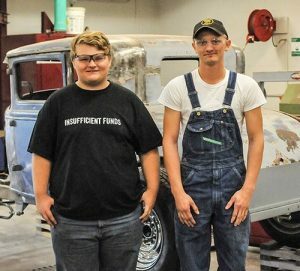 INA, IL – A pair of Rend Lake College students are the proud recipients of Hot Rod Nights Automotive Scholarships. The scholarships offered by the organization have helped several students pursue their passion for vehicles both inside and outside the classroom over the years. The 2017 recipients are Tyler Newbury (Waltonville) and Dakota Berner (Christopher). Newbury is a freshman who is currently working on a 1994 Chevy Camaro Z28. “My dad grew up with a strong background in cars and building show cars. He did a little bit of drag racing as well. So, I grew up with that, and it’s brought me here,” Newbury said. After graduating from RLC, he hopes to transfer to Southern Illinois University Carbondale’s Automotive Program. He wants to eventually get a career in automotive design after he graduates. Berner is also a freshman in the RLC Automotive Program. He is currently working on a 1976 Fiat X19. He too got his interest in cars from family. “My grandpa and my dad work on cars all the time. I always found it interesting. I had a 1978 Bronco that I built and had a lot of fun with. That kept me interested,” he explained. Berner is currently employed at Shelby and Sons Auto Salvage in West Frankfort. He plans on finishing his degree at RLC and staying on with the company, becoming a mechanic. As for the scholarship, both men were thankful for the opportunity from Hot Rod Nights. “This scholarship helps out a lot. Especially when you are working and trying to go to school,” Berner added.